MARCEL VOGEL’S LUMBERJACK’S IN HELL. German DJ and producer Marcel Vogel always believed he that had some unique to contribute to music from the moment he started: “cutting up soulful tunes in the early noughties. By 2010, Marcel Vogel had relocated was one of the rising stars of European DJ scene, and was establishing a reputation for his edits and productions. The only problem Marcel Vogel encountered was finding the right label to release his edits and productions. That was why, eight years ago, in 2010, Marcel Vogel decided to found a new record label which he called Lumberjacks In Hell in hisAmsterdam, Holland which he now called home. Initially, Marcel Vogel envisaged his Lumberjacks In Hell label as vehicle to release his own productions and edits. Before long, though, Lumberjacks In Hell began to operate like a traditional record label as it signed some of the stats of disco and modern dance music. Over the next few years, Marcel Vogel signed artists like Theo Parrish, Ron Hardy, Questlove, Moodyman, Jazzy Jeff, and Gaslamp Killer to Lumberjacks In Hell’s roster. Soon, people were starting to take notice of a label that looked like it was going places. By then, Marcel Vogel had tarted taking the Lumberjacks In Hell’s’ sound to various clubs and festivals around the world. This was perfect publicity for the Lumberjacks In Hell allowed and allowed them to interface with loyal and potential customers. Across the globe, music fans were won over by and bought into Lumberjacks In Hell’s unique and inimitable vibe and vision. When this was combined with Lumberjacks In Hell’s carefully cultivated image and their timeless musical sound. Led by general manager Marcel Vogel, Lumberjacks In Hell released both disco and house singles over the past eight years. They’ve been released to plaudits and praise and have found a loyal following all over the world. Especially Lumberjacks In Hell’s house singles which are best described as having a timeless sound that can be traced to the Windy City, Chicago. That was where house music was born in the early eighties and sparked a musical revolution. Just over thirty years later, Marcel Vogel’s Amsterdam-based label Lumberjacks In Hell had established a reputation for releasing some of the best house music between 2010 and 2018. No wonder, legends including Rahaan, Soulphiction, Karizma and Jamie 3:26 had all released quality singes on Lumberjacks In Hell. So had some relative unknowns who were already making waves on the house scene. All this resulted in 5 Magazine describing Lumberjacks In Hell. 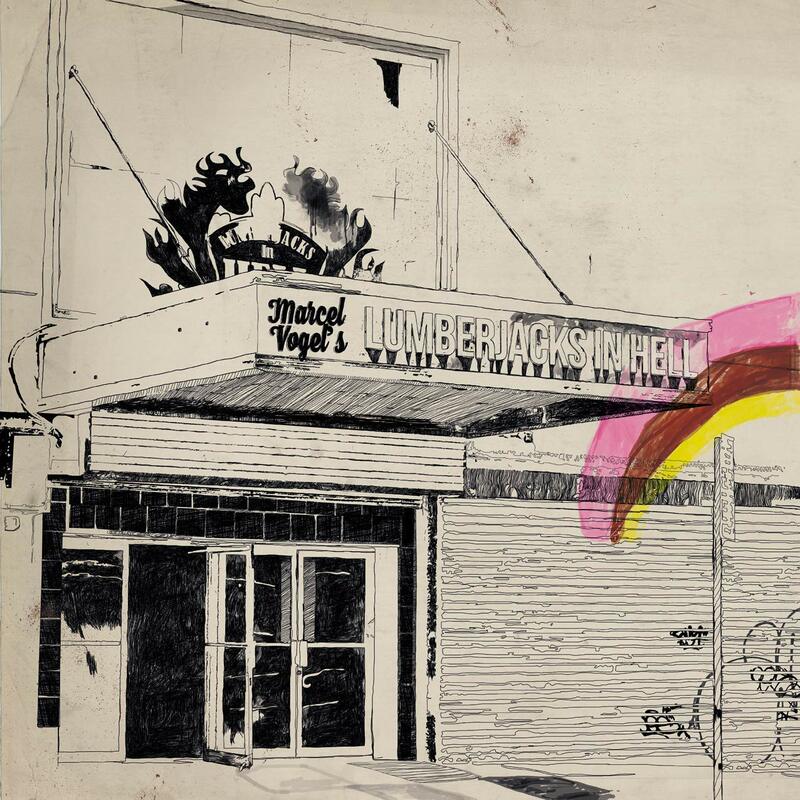 as “the best Chicago dance music label not based in Chicago.” This was high praise indeed for Marcel Vogel’s Lumberjacks In Hell label, who eight years later are breaking bread at house’s top table. To celebrate the first eight year of Marcel Vogel’s Lumberjacks In Hell label, BBE Music will release a new compilation on ‘28th’ September 2018. This is the double album Marcel Vogel’s Lumberjacks In Hell Disc One is a seamless continuous mix from Marcel Vogel who weaves fourteen tracks including Govanni Damico’s Even The Stones, Beam Me Up’s Rabbit’s Foot, Seven Davis Jr’s Get To Know Me, Boogie Nite’s Jazz-A-Nova (Oooh), Harry Wolfman’s Ava and Jonna’s Everyday. These house and disco singles are guaranteed floor-fillers that ooze quality. It’s a similar case on Disc Two Marcel Vogel’s Lumberjacks In Hell which in unmixed and features thirteen full length tracks. Having once again opened with Govanni Damico’s Even The Stone the quality continues and with Ant La Rock’s 2018 single Goddess and Krewcial’s hook-ladn house Over. That isn’t forgetting Nachtbraker’s Jared Fogle, Reece Johnson’s Neyt Life, Joel Holmes’s Outer Light and Frawl’s Be Good To Me which closes Marcel Vogel’s Lumberjacks In Hell on a resounding high. For anyone whose followed the rise and rise of Marcel Vogel’s Lumberjacks In Hell label, then 28th’ September 2018 is a date for the diary. That is when BBE Music releases Marcel Vogel’s Lumberjacks In Hell which is a reminder of the disco and house the Amsterdam label has released since 2010. The music that Marcel Vogel’s Lumberjacks In Hell label has released has showcased their timeless musical sound. Its roots can be traced back to Chicago, but sometimes, the music Marcel Vogel’s Amsterdam-based label gads released music has surpassed much if not all of the Winy City. Marcel Vogel’s Lumberjacks In Hell has come a long way in just eight years. Proof of that is the music on Marcel Vogel’s Lumberjacks In Hell which is one the best compilations of disco and house released in recent months. Marcel Vogel’s Lumberjacks In Hell is quality all the way and shows why the label is dining at house’s top table. Marcel Vogel’s Lumberjacks In Hell. ← CRAIG ARMSTRONG-SUN ON YOU.